Trivia: This film got Nandi award as best film. 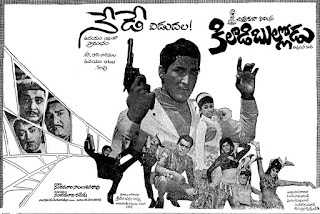 Sobhan and Viswanath combo got golden nandi third time in a row with this movie. 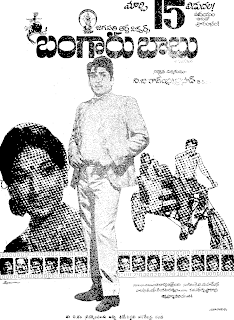 This was based on Kannada hit film YAAVA JANMADA MAITRI (1972). 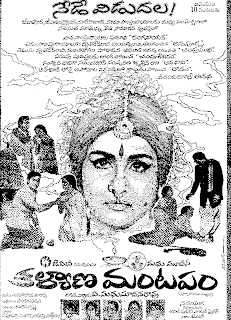 Trivia: It was based on Yaddanapudi Sulochana Rani's novel JEEVANA TARANGALU. It had a 100-day run in 12 theatres. 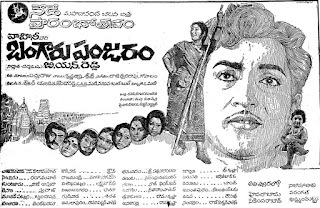 Krishnam Raju played as younger brother to Vanisri. Trivia: This film collected Rs. 27,06,710 in 6 weeks in 27 centers. Trivia: This was 100th film for Saluri as a music director. It got Golden Nandi as best film. 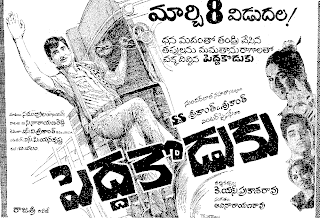 Trivia: Sobhan's role has two shades as Dr. Venu in day time and as Jagan, a killer, in night time. With this movie Sobhan's remuneration rised 8 times. This moive was remade in Malayalam by actress Sarada. 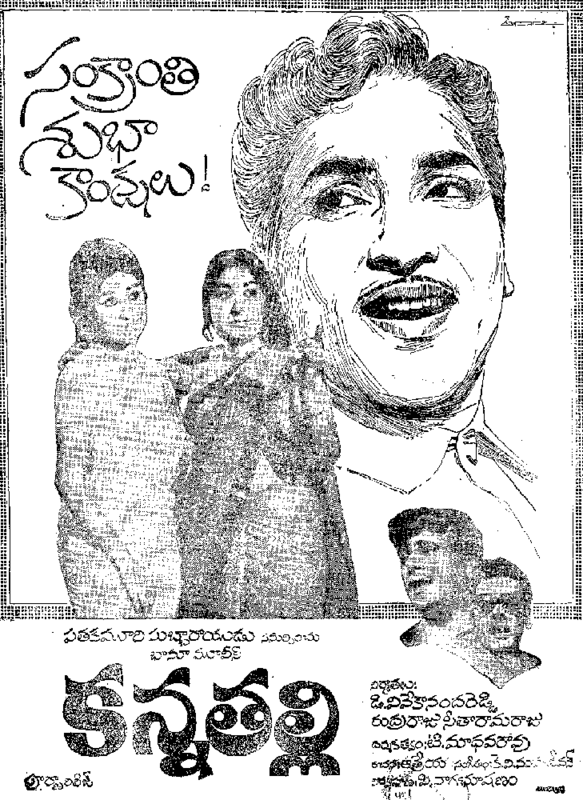 In Tamil, VB Rajendra Prasad remade this movie with Sivaji Ganesan as lead actor. In Hindi, this was remade by Doondy with Vinod Khanna as hero. 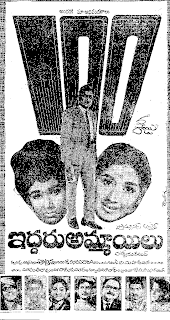 Trivia: This film's premier show held in Subhashini preview theatre, owned by Sobhan. 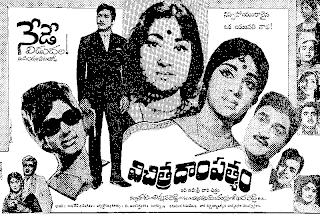 This was the first telugu film, which picturised in outdoor locations. Trivia: Savitri and Sobhan babu played as mother and son. 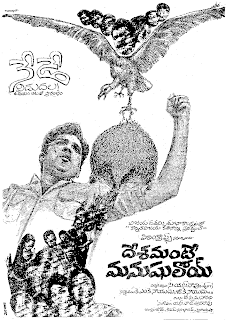 Notes: This film was made based a novel 'Nalupu-Telupu', written by Balaiah. Trivia: Sobhan had done dual role as father and son. He got best actor award from Andhra Film Fans Assosiation, for first time in his career. 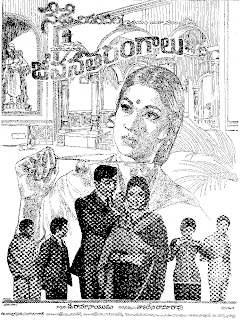 This was based on the novel 'Vidhi Vinyasalu' by Kavilipati Vijaya Lakshmi. 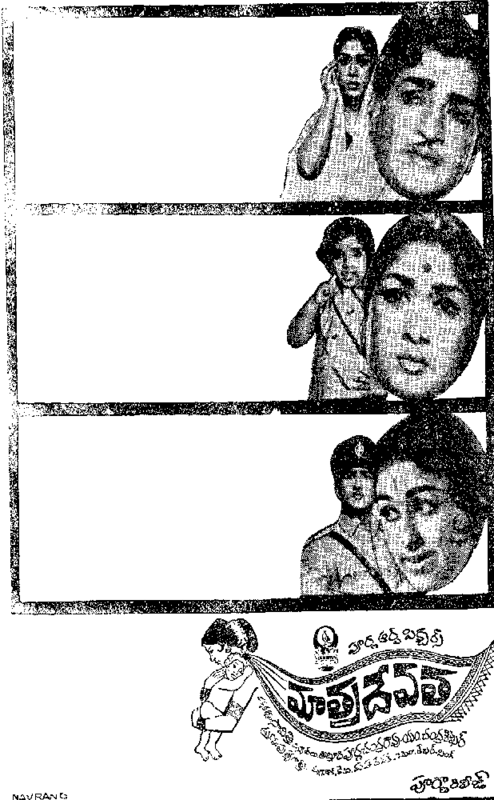 Note: Sridevi, as a child artiste, acted as neice to Sobhan. Notes: Sobhan started to use wig from this movie. Notes: This movie was based on Kannada movie 'Kappu Belupu' which means black and white. In Kannada movie, Aarathi played the dual role. Trivia: Kamal Haasan has been worked as dance assistant to Thangappa and Sobhan did the dance practice under Kamal's supervision. 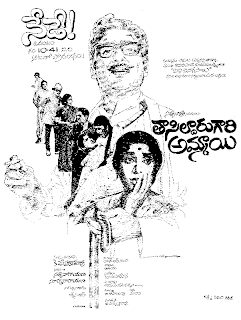 Trivia: This was based on the novel KOUSALYA, written by Polapragada Satyanarayana Murthy. Trivia: This movie was made in Bomabay. Initially Vijaya Bhaskar worked as music director for this movie and given tunes for two duets. Those were recorded in the voices of P. Susheela and SP Balasubrahmanyam. Later Vijaya Bhaskar was replaced by Chakravarthi. Wadia, who has done a key role in this movie was none other than the daughter of Homi Wadia. 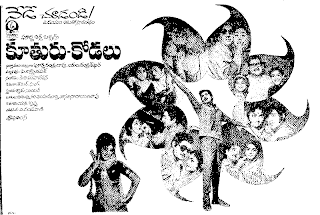 Trivia: This was first film for writer Anisetty Subba Rao as a director. Notes: This is the remake of 'Tulabharam', a super hit film from Malayalam. 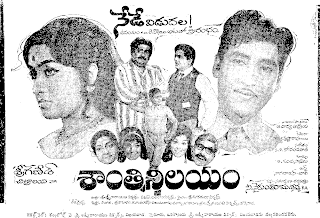 K. Raghavendra Rao and A. Kodandarami Reddy were worked as assistant directors for this movie. 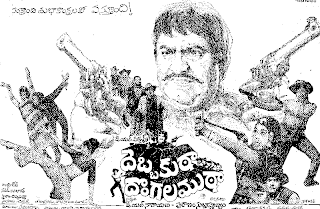 This is a silver jubilee film and given star stutus to Sobhan Babu, who portrayed the role of wokers' leader. 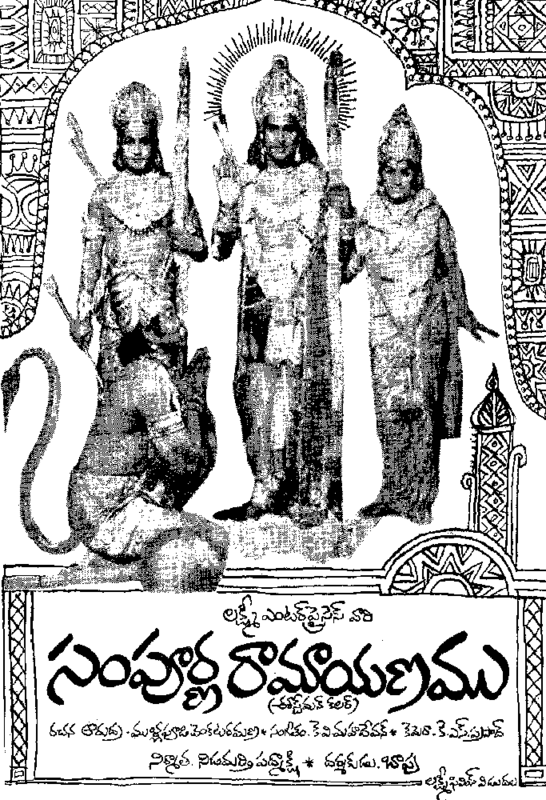 Notes: ANR recommended Sobhan for the role of Srikrishna, instead of Haranath. 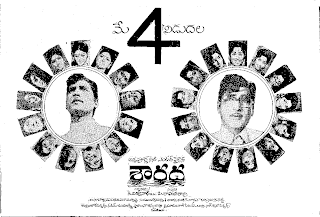 Trivia: C. Narayana Reddy had written all 7 songs. Sheila, who was pairing with Sobhan Babu, was a Malayali actress. Trivia: NTR has been given his voice over after the titles of the film. 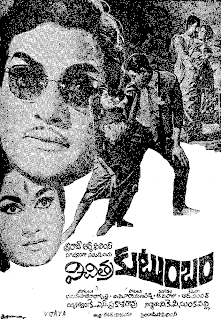 Trivia: The song 'ennallo vechina udayam' was the first song in the combination of Ghantasala and SP Balu. Ghantasala given voice for Sobhan Babu, and SP Balu for Krishna.